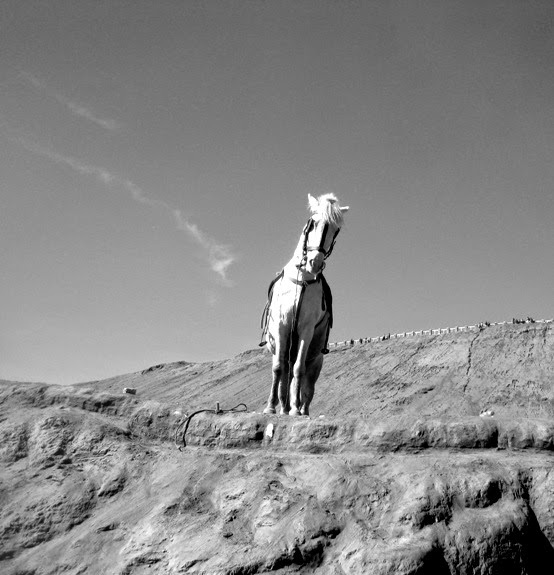 A rented mountain horse waited for any passenger on the Bromo Mountain (East Java, Indonesia). That's a great shot. The horse directly from the front, an interesting perspective! Absolutely gorgeous composition in B&W! The horse is watching you! Fine photo. Bom dia, gosto de apreciar trabalhos fotográficos, este seu trabalho em preto e branco é fantástico, tem beleza e encanta.